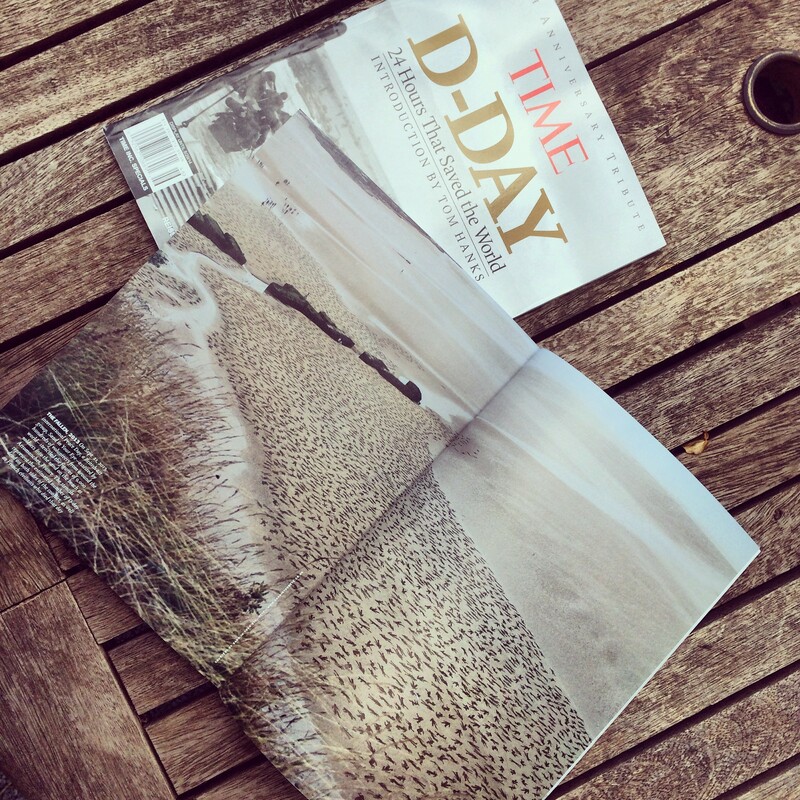 We were very excited today as the Fallen 9000 was published in a Special D-Day Edition of TIME magazine and is available in North America. The event was on Peace Day 2013 and the images continue to ripple across the globe; it is very humbling to see it do so well. This is also a nice opportunity to thank all those people that have written to us with their personal stories that their families have in connection to the D-Day landings. The purpose for Andy and myself continues to be to show people what 9000 people looks like who lost their lives in one day during conflict, as such a number in our minds cannot be imagined. It is important to note that the 9000 represented all those that lost their lives, German forces, Allies and civilians and is a snap shot of an event that happened during the horrors of World War II. It was significant for us not to make distinctions between nationalities as the art piece hoped to signify that essentially we are all human and conflicts such as this are a great loss to humanity. Thank you to Pat for sending Andy and myself a copy of the publication. This brought tears to my eyes, I think if my uncle Irving Munyon landing on D Day 1 and my Dad Elmer Zimmerman landing on D-8 or 9. My dad and uncles were my heros growing up. Thank you Gary. It was a very emotional day. All the best.